In 2013 East Boston voters rejected a plan that would have made Suffolk Downs one of the bidders for the Boston metro casino license. This however was not the end of the issue and the fight has been raging ever since. No Eastie Casino is a committee that has been organized by East Boston residents and neighbors to oppose the building of a resort casino near Boston. They are opposing the building of the resort in their urban, densely populated neighbourhood. The committee have stated that they are working to build community awareness of the impact a casino would have on East Boston residents and businesses. They are also looking to strengthen the voice of their community with key decision makes and ultimately to successfully defeat the casino proposal. A proposal to construct a 161 acre resort casino complex at Suffolk Downs near Boston is being threatened by the No Eastie Casino group. This project promises to create 2,500 construction jobs and 4,000 permanent jobs whilst also investing $40 million in improvements to roads and infrastructure. Unfortunately, the proposal doesn't sit well with many of the residents of East Boston and there was a large protest in Maverick Square to voice the opposition. The opposition have stated that East Boston is a culturally diverse, vibrant community that has long been home to immigrants, middle and working class families, small business owners, and artists. They are stating that the proposed casino would directly affect residential neighbourhoods, affordable housing properties, primary and secondary schools, a salt marsh preservation, and more. East Boston is one of Boston's last affordable mixed-income areas and it is also a federally designated environmental justice community due to the presence of Logan Airport, Global Oil, and other businesses that rely on access to Boston Harbor. The opposition to building this $1 billion resort-style casino near Boston at Suffolk Downs is becoming very organized and there are dozens of anti-casino residents of East Boston and neighbouring communities getting together and uniting to strategize and share information on how to stop the casino going ahead. Members include lawyers and residents all with a goal to oppose the construction on this site and make their voice heard. Residents of East Boston are building a very strong network of opposition at community meetings and through the use of social media. There are a number of Facebook groups such as No Eastie Casino and Suffolk Downs Neighbor that are in strong opposition for this casino resort development and both have also built their own websites where people can get more information. All the opposition groups are continuing to meet every two weeks as their efforts continue to stop the building of a casino near Boston and ensure that Suffolk Downs does not become the site for the metro casino license. The list of negative impacts of having a casino-resort in Suffolk Downs is endless. Building such establishment will create issues for the residents and its neighbouring communities. 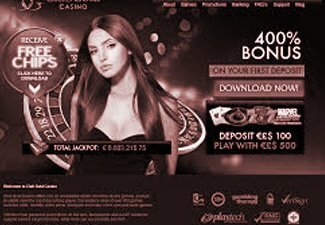 Instead of pursuing the plan of creating a physical casino, players may consider the fast-growing world of online casino as a practical alternative. When the traditional casino is out of reach, most people surf the web to find the best gaming sites to bet on. Players living in Boston can opt for it, too. However, the city does not allow betting on online gambling websites so the question is how. 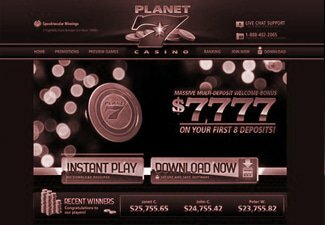 It is true that Massachusetts is perceived as one of the gambling-friendly states in the US because it has a law that regulates offline gambling activities. Thus, physical casinos can freely operate given the necessary permits and licenses. To compensate with this restriction on online gambling, residents of Massachusetts, including Boston, may choose to play on offshore gambling websites that legally accept US players. Online betting is not being outlawed in the gambling laws declared by Massachusetts. 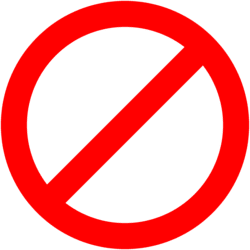 The law of the said state does not consider online gambling as a crime, but it is also good to note that running an online gambling site within Massachusetts is not allowed. Therefore, it is safe to assume that residents of Boston may legally bet on gaming sites outside their state. In reality, there are plenty of offshore online gaming websites that do accept players from Boston. However, it is better to double-check the site's permits and license just to be sure that they can legally accept US players. On the other hand, players also need to comply with the gaming site's rules such as providing their details in order to verify that the player is in legal age to play. Bingo games, lottery, and horse racing require that the player must be at least 18 years old, while the other games require players to be at least 21 years old. Some players may get worried in providing their information to the gaming sites. As a precautionary, players are advised to check the encryption method of their target gaming sites. There are gaming sites that assure their customers that all the data are encrypted. In this case, there is nothing to worry in playing. It can be overwhelming to look for the right online casino for a specific player. There are lots of things to consider, but having a good research on each of prospects will pay off later on. 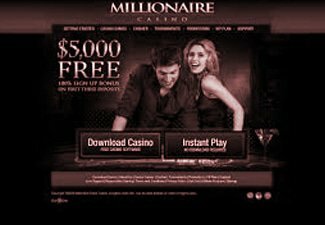 Players may browse the collection of Action Online Casinos Canada : Today's Best Canadian Casino Sites to find the best one that you can bet on.. Canada is known for having friendlier gambling laws. Canadian sites feature a wide variety of games that players can choose from. The classic and latest games are both offered in these online gaming sites. All the possible games of the planned casino in Suffolk Downs might also be available in the online gaming websites offshore. With no doubt, playing on the right online casino is way better than pushing the plan of having a physical casino that may ruin the lives of East Boston residents.